When things go wrong, having your data backed up can save you a lot of time and panic. Today, let’s focus on an easy way to backup — and restore — your bookmarks and passwords in Safari. What we’re looking for on your Mac is these two files: Bookmarks.plist and login.keychain. Here’s how to get to the files we need. Open the Go menu from Finder. With that open, hold down the Option key. You should now see a Library option in the menu. Click on it to open the Library folder How To Access The OS X Library Folder & Why It's Handy How To Access The OS X Library Folder & Why It's Handy Most OS X Library folders are best left alone, but it's useful to know your way in and around the User Library. Read More . You’ll find Bookmarks.plist under /Library/Safari and login.keychain under /Library/Keychains. Just copy these files to an external drive for safekeeping and you’re done. System crashes, clean OS installations How to Reinstall macOS for a Fast and Squeaky Clean Mac How to Reinstall macOS for a Fast and Squeaky Clean Mac Need to restore your Mac to factory settings? Here's how to install a fresh copy of macOS and erase everything. 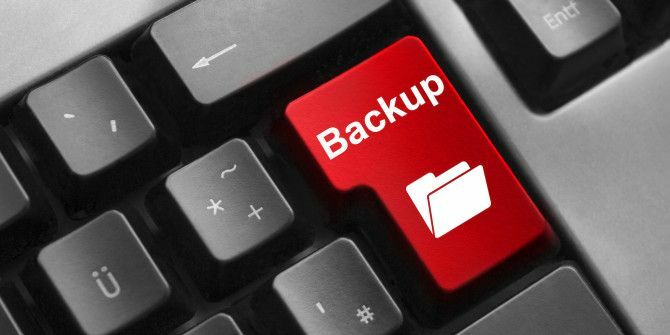 Read More , or switching to a new Mac — all of these situations call for the restoration of data from a backup. Here’s how you get your Safari bookmarks and passwords back. Copy Bookmarks.plist and login.keychain from the external drive and paste them into their original locations, i.e. where you copied them from in the first place. If you have iCloud enabled What Is iCloud Drive and How Does It Work? What Is iCloud Drive and How Does It Work? Confused about what makes iCloud Drive different to Apple's other cloud services? Let us show you what it can do, and how you can make the most of it. Read More , your bookmarks are already stored in the cloud. If you have set up iCloud Keychain with an iCloud Security code, your passwords are backed up to the cloud, too — but it never hurts to have an extra set of backups somewhere off the cloud. Do you store your Safari bookmarks and passwords in a location that’s not on your Mac? Have you ever lost access to either of them before? Share your story in the comments! Explore more about: Data Backup, Password, Safari Browser.